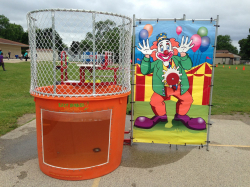 The Dunk Tank has always been a leading money maker at fairs, carnivals, and block parties as well as a great rental item. 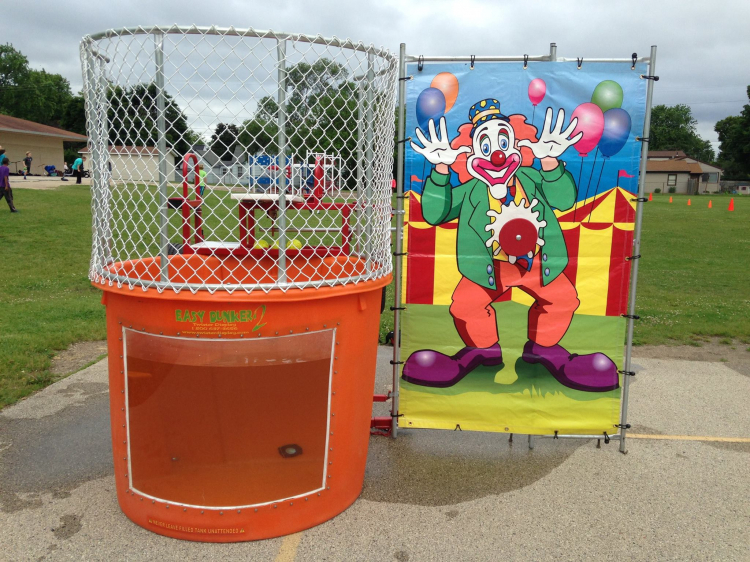 Dunking your friends can be just as much fun as dunking your boss, so our dunk tanks are super popular at backyard parties, graduation parties, family reunions and more. Just let the tank fill with water and the fun can begin. This 500 gallon tank will make a huge splash at your party or special event. The fill time will depend on your water pressure, taking anywhere from 30 minutes to 2 hours. Some people like to add a little hot water, while other like it as cold as possible.